Hue is home to an off combo delicious Vietnamese and Italian restaurants. 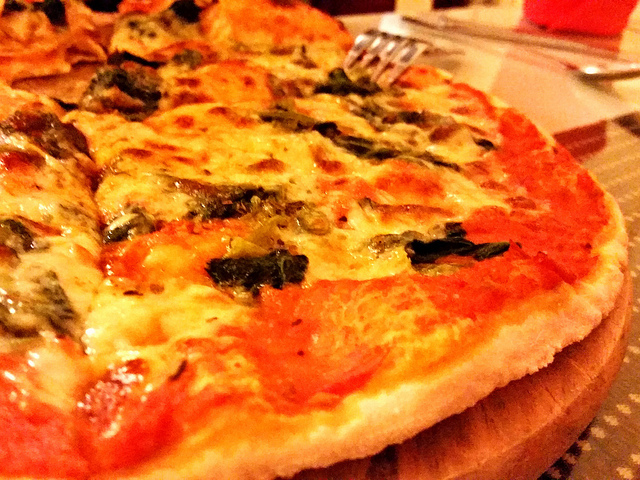 Risotto stands out among the Italian options, with plenty of vegetarian options, including delicious thin crust pizzas. Visit during happy hour and get free (and tasty) bruschetta, a free fruit plate and a free glass of Da Lat wine with your pizza (not exactly the most amazing wine we've tasted but a good deal nonetheless). A great option when you're pho'ed out. Thin crust pizza. The pumpkin ravioli is also a solid choice.